The Inspector General of Police, IGP Ibrahim Idris is not a stranger in the land of Scandals. String of scandals have followed the 19th indegenous Nigeria Police Chief. On his appointment about two years ago, there were pronounced agitation on his competence to lead the force. Prior to his appointment, the former Inspector General of Police, IGP Solomon Arase (Rtd.) already issued him four administrative querries on his incompetent performance. While battling to answer the last querry, he was called by The Presidency to take over the leadership of the force. As a result of the corrective measures by the former IGP, Ibrahim Idris declared a blackmail war against his predecessor, accusing him of stealing over 20 vehicles belonging to the Police. Arase was eventually cleared of any wrongdoing. Distinguished Senator Misau came up with grave allegations of massive fraud running into billions of naira being perpetuated under the supervision of IGP Idris. The allegation was not addressed, instead the police media mechinery descended heavily on the Senator, accusing him of forgery and other miscellaneous crimes. Eventually, the confirmation of the issuance of the Senator's retirement letter by the Police Service Commission, embarrassed the force to the watch of Nigerians. There are trails of scandals. Recently, one Mr. Austine Ugochukwu Albert alleged that the Inspector General of Police accepted some bribe to compromise the case of fraud he lodged before the Police. He has petitioned the President on the allegation. 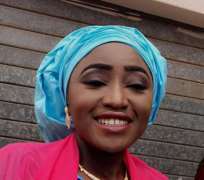 Among all the scandals, the story of ASP Amina, the alleged mistress of the IGP seem to scandalously fascinate Nigerians. In a widely circulated social media story: "IGP Ibrahim Idris in another phase of scandal", one major character was featured in the story. ASP Amina was said to have had a record promotion from a Police Corporal to Police ASP within 12 months. Though the story was denied by the psudo media pawns of the IGP, it has refused to be burried. The story resonates in every police formation in Nigeria because of the alleged unwarranted promotions. Apart from Amina's promotions, there are plethora of other officers who have benefitted from the scandelous promotions, allegedly based on financial inducement. According to information circulating round, "the current CP of Anambara state, Mr Garba was an ACP last year and was promoted to CP within a year; Mr Ali Janga was also an ACP last year and was promoted to the rank of DCP in less than 12 months and again acting CP couple of weeks ago and was posted to replace a vibrant CP in kogi. Mr Muawiya was DSP last year, now promoted SP the same year and CSP this 3 months ago, he is now CSO Govt house kano: Mr kolo of Federal SARS, was promoted to the rank of CSP just last year and now ACP, Surprisingly his name was among those sent to Police Service Commission for elevation to DCP". Amina is alleged to wield such powers in the force that many senior officers are sending "returns" to her. It is alleged that in the history of The Nigeria police, no IGP has been so beleagured with scandals as IGP Idris. Could this be a mere hatred, smear campaign or toxicity of the office of the IGP, who many believe is repositioning the force or is it the Nigerian phenomenon of "the more you look, the less you see"